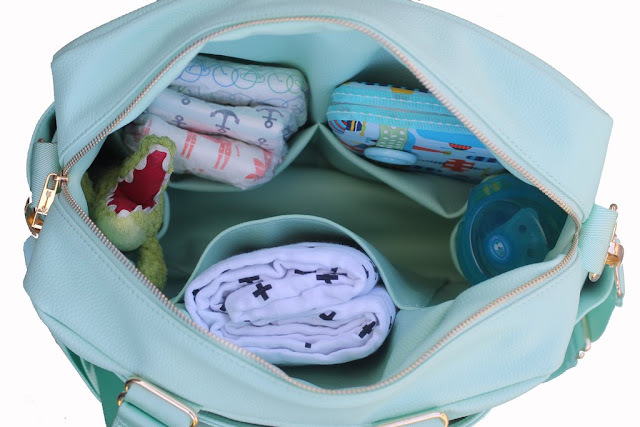 I can't get over how cute this darling Diaper Bag from Kiki Lu is! I first saw it on another mom at my daughter's dance class and I knew I had to have it! 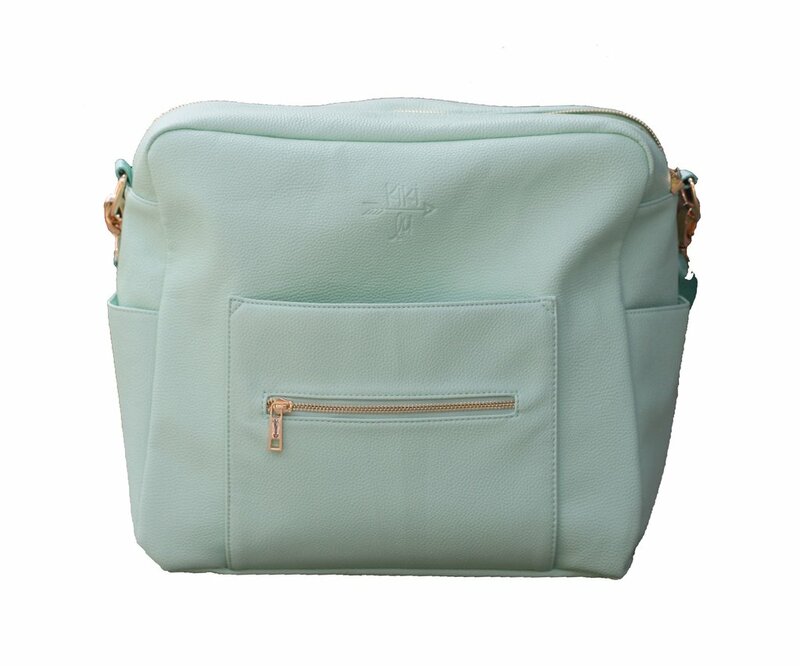 The backpack style makes it easy to be hands free, which we all know I need with 3 kids running around (well 2 kids running, 1 consistently holding HA)! 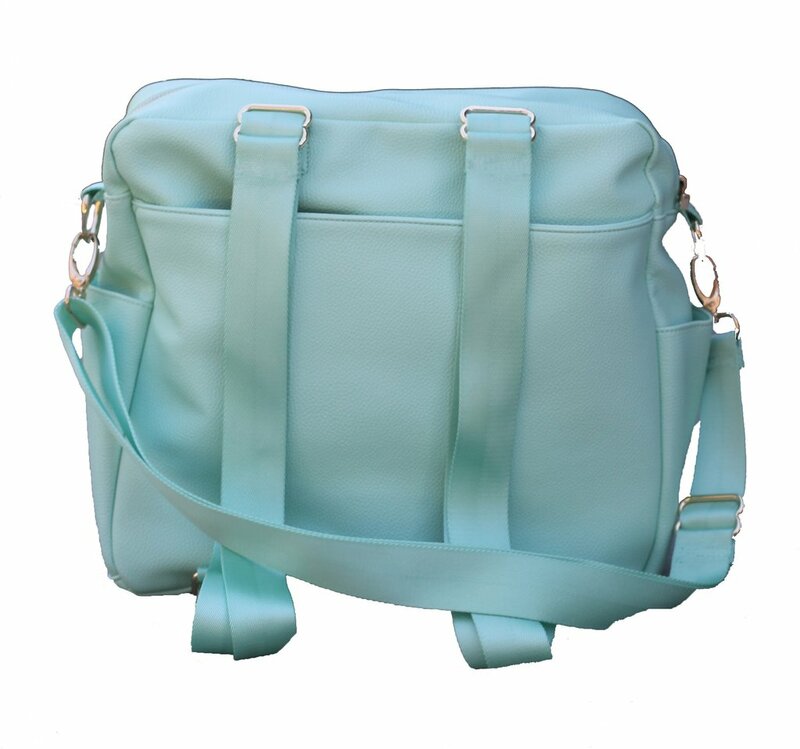 But you can also change the straps around if you prefer not to wear it as a backpack! It has tons of pockets for everything baby you can think of! & comes in such cute colors! 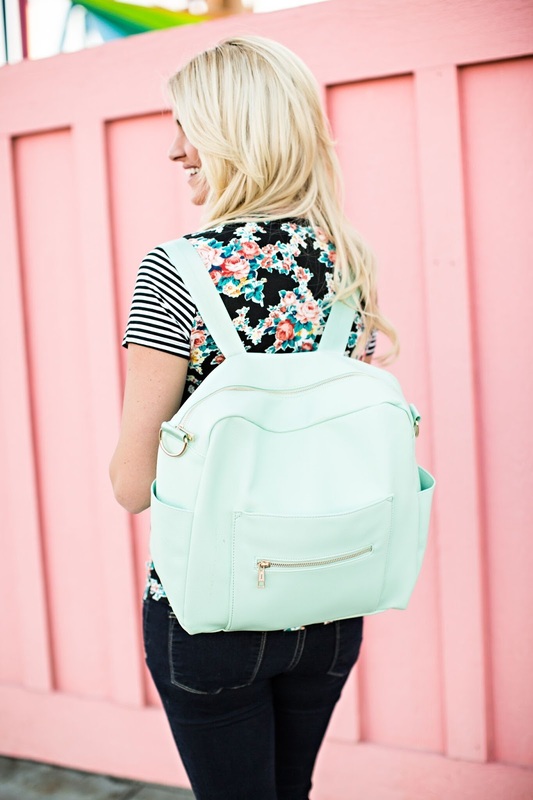 I decided to go with mint because I love everything mint and it's such a fun color pop! Lucky for you all of my follower get 25% off using coupon code MCKINLI25 at checkout! 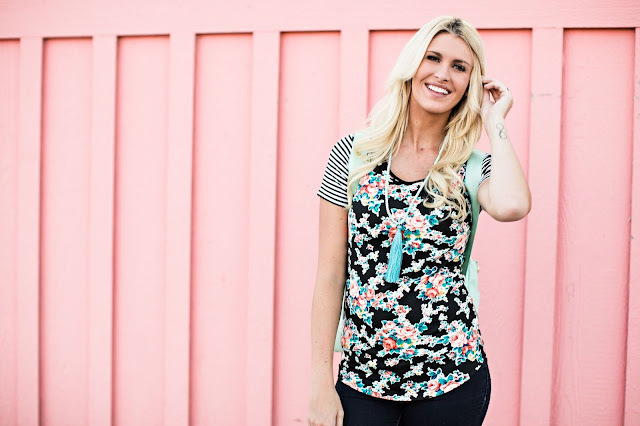 And let's talk about this cute Floral Tee from Brickyard Buffalo! It isn't on sale yet, but it will be this Saturday & Sunday! So consider this your sneak peek and reminder to grab it before they are gone! 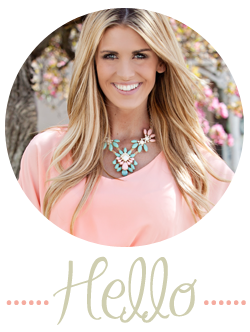 Brickyard Buffalo is a fun little Daily Deal site that features boutique items on SALE! I love shopping there! Is your coupon code still valid? Is it for all the bags? I tried entering it at checkout it doesn’t work!